We had high expectations for the Country House Resort after reading their stellar reviews here on Trip Advisor, and when we got there they managed to exceed even those high expectations. 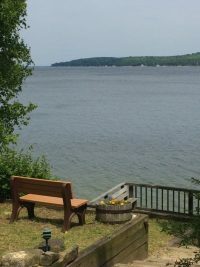 We really liked the location… it was quiet and peaceful, near the water, and somewhat away from the main roads, but still very close to the attractions. 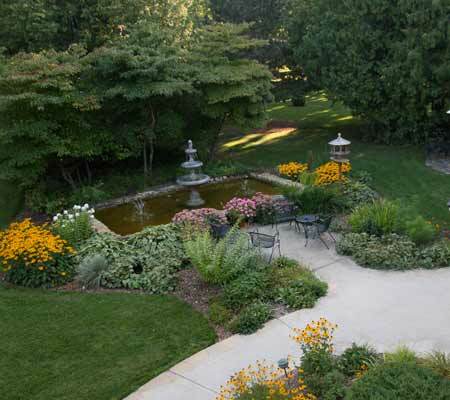 The grounds were beautifully kept with gardens, fountains, a pool, hot tub, tennis courts, outdoor swings, and more. We really enjoyed the nature walk down to the water and through the woods along the shore line. The other amenities offered made our stay even more enjoyable. They had a really good and well stocked continental breakfast, and we also enjoyed the DVD library with DVD players in the room. The room itself was simple, but roomy and clean with a comfortable bed. However, despite all of the things I mentioned above, I think what stood out the most was the customer service. They made you feel like family. Everybody at the desk was exceptionally friendly and helpful. Also, we thought it was a really good value. We had the garden view which was the cheapest option, and it was really not much more expensive than the much less appealing motels in the area. I can’t imagine ever choosing to stay anywhere else in Door County in the future (unless there were kids along, who are not allowed). Overall, very highly recommended. 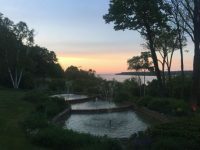 Absolutely Gorgeous Door County Resort!